In New England, many working families and individuals simply do not have access to jobs that allow them to meet their basic needs, thrive in the pursuit of economic mobility, and actively contribute to our collective prosperity. The economic well-being of the region is reliant on our ability to not only focus on the number of jobs being created, but to focus on the number of good-quality jobs for all workers. On October 31, the Federal Reserve Bank of Boston will bring together thought leaders from the business, academic, nonprofit, and public sectors for a half-day conference to explore the challenges and opportunities associated with providing better quality jobs in our economy. Join us for an enriching conversation that highlights on-the-ground practices and strategies that businesses, investors, policymakers and workforce organizations are pursuing to address the challenges facing low- and moderate-income workers and improve the quality of jobs available in our communities. While the economy is strong by many indicators, many workers have not reaped the benefits of the recovery and continue to struggle. This session will feature a conversation between a senior economist at the Boston Fed and a leading expert in employment and labor policy as they explore how work and the social compact has changed over the past few decades and what that implies for the future of our economy. 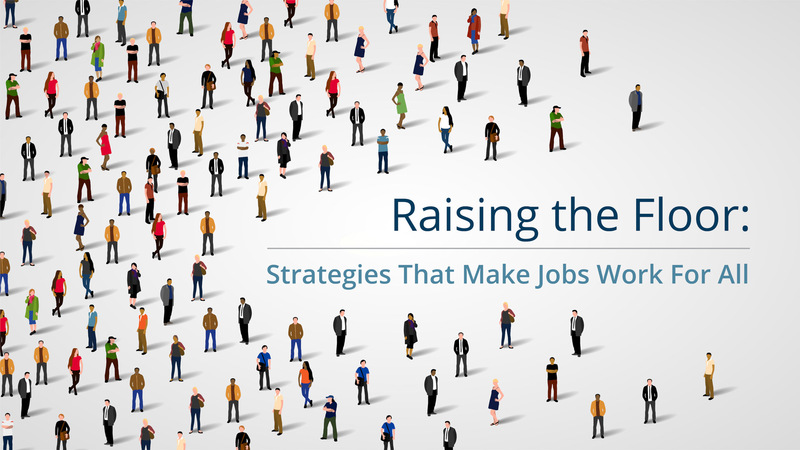 A job quality solutions focus, particularly for low-wage workers, not only benefits employees but could increase a business’s bottom line while addressing key business challenges like employee retention, engagement, and productivity. Businesses who have broken from sectoral practices and invested in their frontline workers will discuss their motivations, methods, challenges and outcomes. Panelists will discuss how innovation within their own organization is leading to the creation and preservation of quality jobs for the future. The discussion will address promising investment strategies, lending opportunities, and technical assistance as well as challenges faced by financial institutions and community development practitioners as they strive to have impact. Several organizations in New England are supporting businesses that are committed to improving policies and practices that impact frontline workers. Learn about the tools these organizations use, their strategies and the impact they have had on the businesses they have served. In this session, we will do a deep dive on the BEST Hospitality model, its origin story, and the respective role that one business (the Omni Parker House Hotel), the hospitality workers union (UNITE HERE Local 26), and BEST all play to create a win-win for all stakeholders involved. Economic inequality—partially driven by our economy’s transition from higher-wage production jobs to lower-wage service jobs—poses a crucial challenge to our economy, our society, and to the American ideal. Maureen Conway will highlight business leaders who are reimagining the structure of work in service industries to the mutual benefit of workers and businesses and outline how policy can align business incentives with public interest to boost job quality, particularly across low-wage sectors. Based on what has been learned throughout the day, attendees will consider and discuss which approaches and techniques would be most useful for advancing the quality of entry-level, low-wage work. Table teams will have the opportunity to discuss the question posed at the outset of the event, "What can your organization do to advance the quality of low-wage jobs?" The U.S. labor market is the tightest it has been in decades; as a result, the interests of low-income jobseekers and employers are now more wholly aligned—a once-in-a-generation convergence. This session argues that the workforce field and its funders must fundamentally redefine the types of services they offer, the strategies they pursue, and the very nature of how they finance workforce operations. JVS and Civic Works will discuss how they are leading the charge for a new generation of workforce intermediaries positioned to help employers invest in and leverage their frontline workers—helping businesses to not only create quality jobs, but also achieve operational excellence in order to secure and defend their competitive business advantage.